Bitlocker(tm) is the Windows(tm) Drive encryption software. It is important for security in Windows(tm). Our Software is full compatible with Bitlocker(tm). 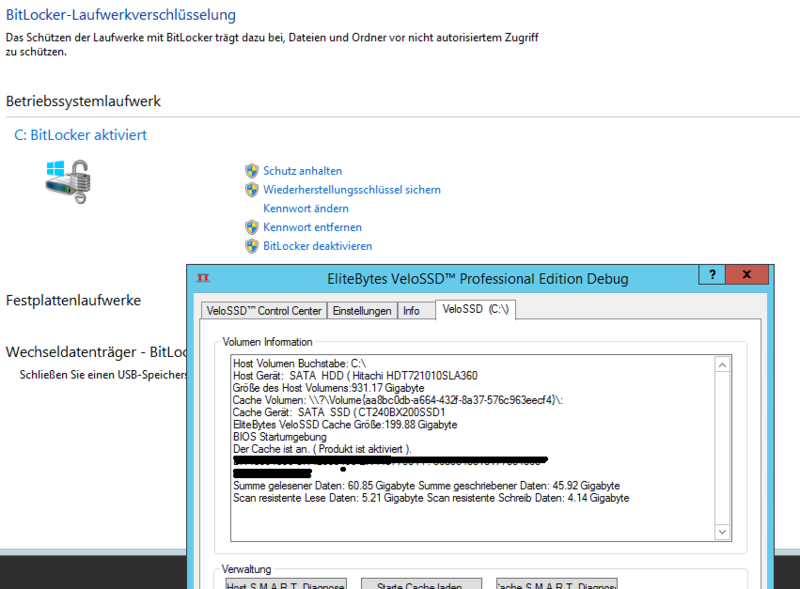 You can use MaxVeloSSD, VeloSSD or VeloRAM together with Bitlocker(tm)! There is no extra configuration needed if your drive is already encrypted. Set the profile to "conservative". This removes unnecessary fluctuation in the cache during encryption. Our software was designed to be full compatible from the start on.